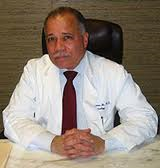 Dr. John B. Clemmons was born in Savannah, Georgia, in 1949. His father was a professor of mathematics who dreamed of being a doctor, but despite his acceptance at Meharry Medical College, lacked the necessary funds. Instead, he encouraged his son to pursue a medical career. Dr. Clemmons attended a Catholic, all African-American school in Savannah, and then went to Williams College in Massachusetts in 1967. While attending Williams College, a national liberal arts college, Clemmons and other students staged a sit-in at the administration building to advocate for increased sensitivity towards African-American students and to promote the development of an African-American studies program. Similar peaceful protests occurred at other campuses across the nation in the 1960s and 1970s. Dr. Clemmons graduated from Williams College in 1971 and chose the Howard University College of Medicine in Washington, D.C., where he received his degree in 1975. He completed his internal medicine internship and residency and a gastroenterology fellowship at Emory University in Atlanta. Dr. Clemmons was the first African American to train in gastroenterology at Emory University. Before finishing his medical education, Dr. Clemmons used a fellowship from the Thomas Watson Foundation to travel to Tanzania, Jamaica, and Nigeria to provide medical care to the people there. Dr. Clemmons moved to Houston in 1981 to practice gastroenterology and immediately became a member of Houston Medical Forum. He later served as the organization’s treasurer and president. Dr. Clemmons has privileges at Park Plaza Hospital, St. Luke’s Hospital, St. Joseph’s Hospital, Methodist Hospital, and Hermann Memorial Hospital.